Bacterial, fungal, and viral infections are frequently encountered in the oral cavity. There is no single feature characterizing infection in the mouth, and in many cases the clinical appearance may be similar to that of noninfectious conditions. Careful history taking and examination, identification of risk factors, and appropriate utilization and interpretation of diagnostic tests are critical for determining the correct diagnosis and initiating appropriate therapy. 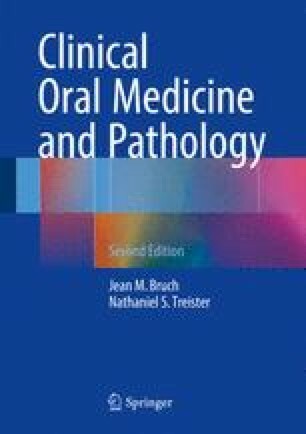 This chapter provides a rational approach to assessing, diagnosing, and managing patients with oral infections, with a special emphasis on those with underlying immunosuppression.